Updating 1985 guidelines for preparing men for the Latin-rite priesthood and ensuring their continuing education, training and support, the Congregation for Clergy Dec. 7 released “The Gift of the Priestly Vocation,” a detailed set of guidelines and norms for priestly formation. The updated document draws heavily on St. John Paul II’s 1992 apostolic exhortation on priestly formation, as well as on the teaching of and norms issued by now-retired Pope Benedict XVI and Pope Francis and by Vatican offices over the past three decades. 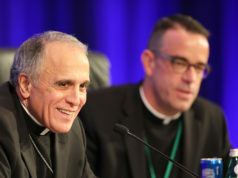 “Experience has shown that when ordinaries (bishops) have not accepted the negative judgment of the community of formators, it has been the cause of great suffering in many cases, both for the candidates themselves and for the local churches,” the document says. 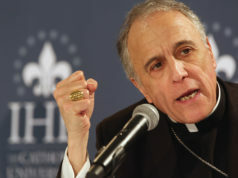 Psychologists, whether or not on the staff of the seminary, can provide valuable help to the seminary rector and diocesan bishop “in the assessment of personality, expressing an opinion as to the psychological health of the candidate and in therapeutic accompaniment, in order to shed light on any problems that may emerge and to assist in growth in human maturity,” the document says. The Congregation for Clergy recommends that women be on the staff of seminaries or teach at the universities where the candidates study and that seminarians’ ability to relate to and work with women be considered in the candidate’s evaluation, since the majority of parishioners with whom the future priest will work are women. The guidelines, which are to be adapted by national bishops’ conferences, include an outline of the stages, prayer life and specific subjects to be studied during the six or more years of preparation for priestly ordination. But the guidelines also acknowledge that many of the skills needed to be a good priest cannot be learned in a classroom. They are the result of prayer, self-discipline and seeking to model one’s behavior on that of Christ, the document says. Previous articleWho will save the Christmas festival in ‘Believe’?